Take a look at five easy opportunities to invest time in your health and your sanity. We all know what the term "investment" represents: it typically revolves around taking an amount of money and buying bonds or shares of an index fund or a public or private company. But there are a number of time investments that every entrepreneur should make that, although they won’t put out an annual percent-based rate of return, will produce both personal and professional returns that will go well beyond the public financial markets. Most of these concepts will seem fairly straightforward, but the reality is, many entrepreneurs—particularly first timers—will overlook them while burying their noses in 16-hour workdays with few breaks. It’s hard to express how mentally and physically unhealthy this can be, particularly if done over periods of weeks, months or years. Related: Never stop growing. Here are 3 ways to maximize your potential. Let’s take a look at five easy opportunities to invest time in, which will no doubt have a tremendous effect on your business. Meditation can be something as simple as sitting in a chair for five minutes with headphones on and listening to your favorite relaxing music, with the intent to slow down your brain. 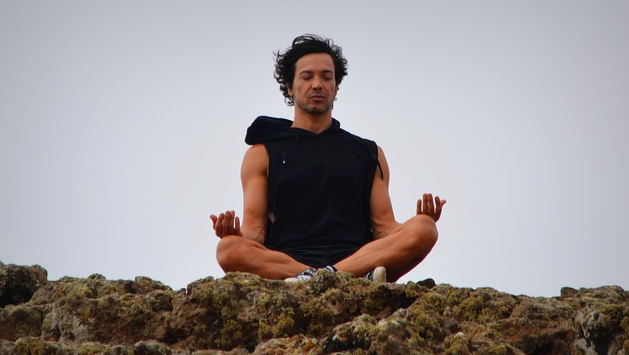 Yes, you can sit in a quiet room for 30 minutes per day and do a whole list of meditative and breathing exercises, but start simple while using apps such as Headspace, which will give you incredible instruction over just a 10-minute period that will leave you refreshed, clear headed and ready to go. It’s like hitting the "restart" button, allowing you to be considerably more focused. This is an example of a time investment that should really be non-negotiable—you absolutely must get sufficient sleep to be as efficient, focused and productive as possible. If you feel like you don’t have time to sleep enough, you need to figure out how to make time. The more sleep deprived you become, the less effective you’ll be across nearly all parameters. Sound like a good thing for your entrepreneurial mind? Of course not. The same article noted that just 2.5% of us require less than seven hours of sleep per night—so do yourself an enormous favor and invest in at least seven hours of sleep per night. Although this time investment also comes with a financial investment, it’s pretty small given the potential for a substantial return. For around $150 to $200 and six hours, you can take an in-person speed reading and memory class with a company such as Iris Reading. My lovely wife and I have taken the six-hour in-person course and both left the class reading more than twice as fast we when we entered, without compromising comprehension. It’s important that you, if possible, take the class in-person because it forces you to disconnect and fully focus on the course material. This will increase your return from both the time and financial investment. Don’t live in an area that offers live courses? No need to fret, online courses are available too. This is another topic that, like sleep, is far too easy to just skip over while blaming a lack of time. Here’s the deal: you can’t focus in on your mental health, which is paramount to your success, until you’ve gained control of your physical health. You don’t need to train like you’re going to hike Mount Everest, but you do need to get your blood flowing and heart pumping for at least 15 minutes every day. Yes, every day. Exercise can lead to the development of new ideas, clearer thoughts and a boost in endurance, which are all quite important for your business, so invest in exercise and don’t counteract it by following it up with a Big Mac. One of the best ways to shortcut your decision-making "trial and error" is by investing time in finding and taking advice from a mentor. This isn’t a new concept but it is most certainly time-consuming to set up. It will require an investment of potentially weeks or even months but will allow you to easily seek out advice and guidance from someone that has been in your shoes, hopefully multiple times before, allowing you to make better decisions, faster.